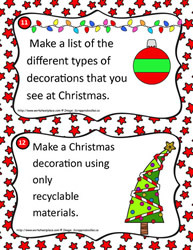 Print the Christmas task card activities on to heavier paper. 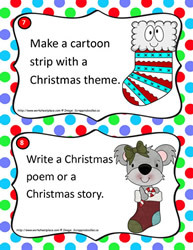 Let students self select the tasks for Christmas writing, art and creative thinking activities. 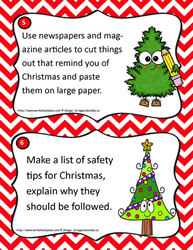 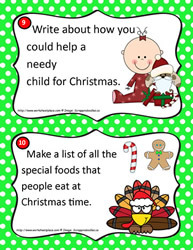 These Christmas activities support learning at a variety of grade levels. 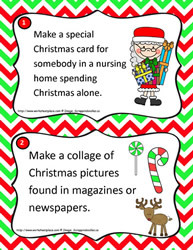 Language activities based on the Christmas theme.